$1.00 any Colgate Total original, whitening, or advanced toothpaste 4 - 7.8 oz. $1.00 any Tampax Pearl or Radiant tampons 32 - 40 ct., Always Infinity or Radiant pads 24 - 36 ct.
$1.00 any Degree deodorant product 2.6 - 6 oz. 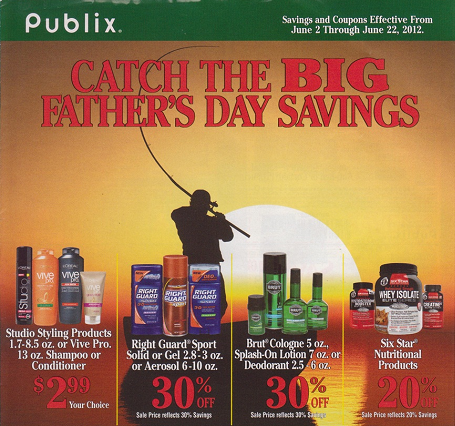 $1.00 any Axe product shower gel 12 oz., anti-perspirant/deodorant 2.7 - 3 oz., body spray 4 oz. or hair care 2.64 - 12 oz. $1.00 any Dove MEN+CARE body and face wash 13.5 oz. $3.00 any 2 mix or match: Enfamil Ready-to-Use product 6 pk. or 32 oz. $1.00 any Duracell Ultra power AA/AAA 4 pk. $1.50 Duracell coppertop 9V-2 pk., C/D-4 pk. or AA/AAA-10 pk. $2.00 Duracell coppertop AA/AAA-20 pk. or Ultra Power AA/AAA-16 pk. $1.00 Duracell coppertop AA/AAA-4 pk., C/D-2 pk., or 9V-1 pk. $3.00 any Duracell EasyTab hearing aid batteries 6, 8 or 16 pk. Free KC Masterpiece barbecue sauce 18 oz. WYB any KC Masterpiece marinade 16 oz. $1.00 any Coca-Cola product 20 or 24 pk./12 oz. $2.00 any Barnie's CoffeeKitchen 12 oz. 75¢ any Nonni's Biscotti 5.52 oz. - 6.88 oz. or Biscotti bites 6 - 7 oz. 75¢ any Maxwell House international cafe 4 - 9.3 oz. $2.00 Kraft jet-puffed marshmallows 10 - 28 oz., Hershey's chocolate bar 6 pk., AND Nabisco Honey Maid grahams 14.4 oz. Free Pepsi Max 2 L WYB any 2 Doritos (including new Doritos Jacked) 10.5 - 11.5 oz. $1.00 any Aquafina 24 pk./16.9 oz. $2.00 any 2 Lipton 12 pk./16.9 oz. Free StarKist chunk light tuna, low sodium chunk light tuna, or chunk light tuna salad pouch 2.6 - 3 oz. WYB any Nature's Own sandwich rounds 12 oz. 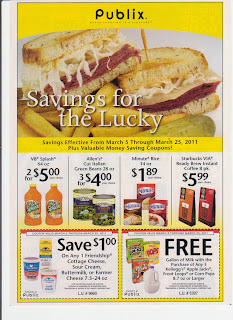 $2.00 any participating Nabisco product PLUS any participating Coca-Cola product: Coca-Cola 8 pk./7.5 oz. mini-cans, Coca-Cola 6 pk./16.9 oz., Nabisco Toasted Chips 8.1 oz., Nabisco Snak-Saks 8 oz. $2.00 any 2 Dannon Light & Fit 4 pk. $1.00 any 3 Kellogg's Pop-Tarts 8 oz. or 12 ct. or Pop-Tarts mini crisps 6 ct.
Free Huggies wipes refill 184 - 216 ct. WYB Huggies Snug & Dry 3, 4 or 5 diapers giant pack 120 - 156 ct.
$3.00 any Finish Power Up 14 oz. or Finish Jet Dry 16 oz. WYB any Finish detergent 45 - 60 ct.
$1.00 any Palmolive dish liquid 25 - 38 oz. $2.00 any 2 Resolve Spray 'n Wash products 3 - 40 oz. $1.50 any 2 Glade candle 4 oz. jar or scented oil candle refills 4 ct.
$2.00 any Coppertone continuous spray, sport, general protection or tanning products 3 - 8 oz. $2.00 any Banana Boat suncare product 3 - 16 oz. $2.00 any Hawaiian Tropic suncare product 6 - 16 oz. $1.00 any FDS feminine deodorant spray 2 oz. $4.00 any 2 mix or match: Pepcid 25 - 50 ct., Lactaid 32 - 60 ct. or Tucks 100 ct.
$2.00 Bengay 2 - 4 oz. or 4-5 ct. or Precise 3 ct. or 2.5 oz. $1.00 any 2 mix or match Head & Shoulders shampoo & conditioner 13.5 - 14.2 oz. $1.00 Secret clinical deodorant 1.6 - 2.6 oz. 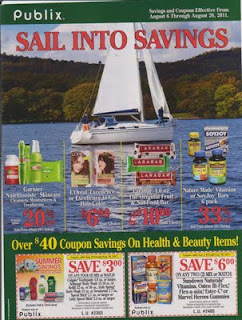 $5.00 BrainStrong products 30 ct. or 90 ct.
$1.00 any Truvia brand natural sweetener 40 ct./4.9 oz., 80 ct./9.9 oz. or spoonable 9.8 oz. 75¢ Morton kosher salt 3 lb. 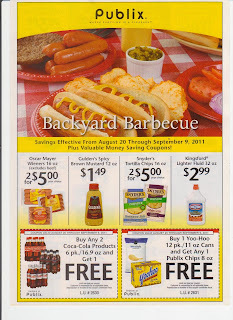 $1.00 any 2 Johnsonville frozen sausage items 16 - 19 oz. $2.00 any Cheez-It large or family size 9.8 - 21 oz. Free Nabisco Snak-saks 8 oz. WYB a Coca-Cola product 20 pk. or 24 pk. $1.00 any 2 Morningstar Farms products 5.3 - 12 oz. $1.00 Fage Total yogurt 35.3 oz. $1.00 any 2 Oscar Mayer Selects 9 oz. OR Selects beef or turkey franks 15 - 16 oz. $1.00 2 Jimmy Dean sausage gravy & biscuits 12 oz. $1.00 any POM Wonderful 16 - 48 oz. Thanks to daydr3am at Slickdeals for sneak peek, click here for scans of other deals. Here's the lineup of Publix and manufacturer coupons for the next Green Health & Beauty Flyer starting at the end of the month 3/31/12. $2.00 Coppertone continuous spray, sport, general protection or tanning products 3 - 8 oz. $1.00 any Colgate toothbrush or wisp 4 ct.
$1.00 any 2 mix or match: Softsoap hand soap 5.5 - 7.5 oz. 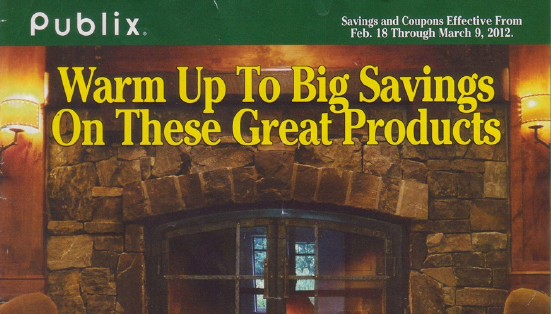 or 56 oz., bar soap 4 ct., body wash 15 - 18 oz., or Irish Spring body wash 15 oz. $2.00 Banana Boat suncare product 3 - 16 oz. $1.50 any Dial for Men speed foam body wash 6.8 oz. $1.00 Listerine mouthwash 1 - 1.5 L or whitening rinse 16 - 32 oz. $4.00 Allegra 15 - 45 ct. or Allegra-D 15 - 30 ct.
$2.00 any Stayfree ultra thin or maxi pads 14 - 48 ct., Carefree pantiliners 16 - 60 ct. or O.B. tampons 40 ct.
$3.00 any Thermacare product 2 - 3 ct.
$3.00 any Senokot 100 ct., Senokot S 60 ct., or Colace 60 ct.
$2.00 Prilosec OTC 14 - 42 ct.
75¢ any Axe deodorant 2.7 - 4 oz., hair, or styling product 2.64 - 12 oz. 75¢ any Vaseline body lotion 10 oz. or 20.3 oz. 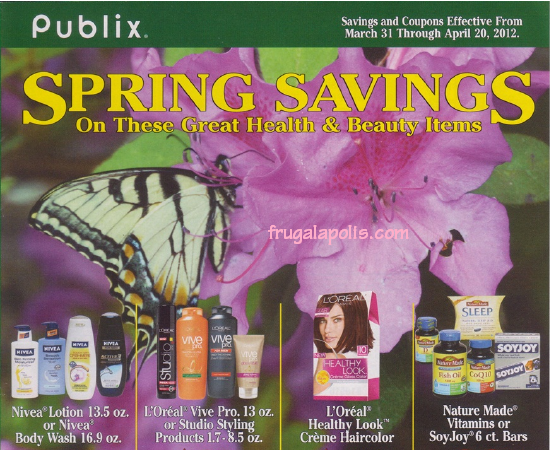 55¢ any Suave body wash, body lotion, or deodorant product 2.6 - 12 oz. $1.00 any 2 Lindt gold bunny chocolates 3.5 oz. $1.00 any 4 Royal gelatin or pudding 0.32 - 5.5 oz. $1.00 any 2 Johnsonville breakfast links or patties 12 oz. 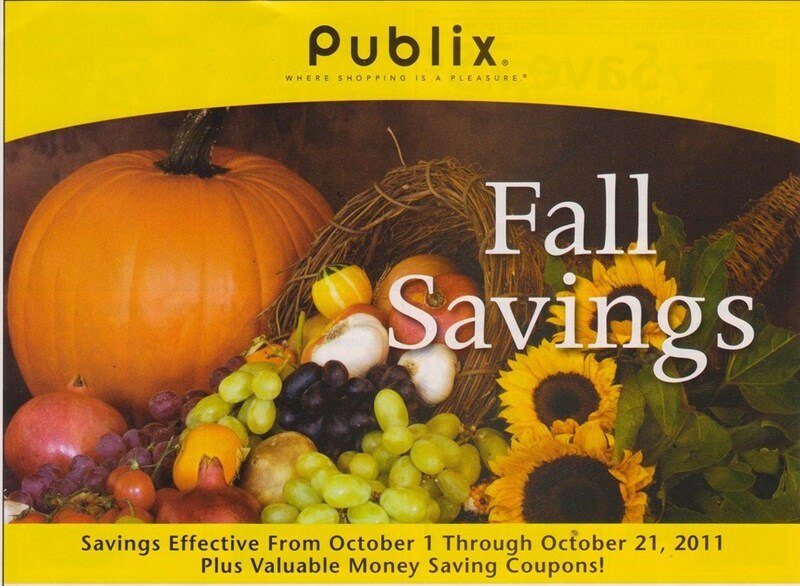 Free one loaf of Publix large white bread WYB any 2 Valley Fresh white & dark chicken 10 oz. 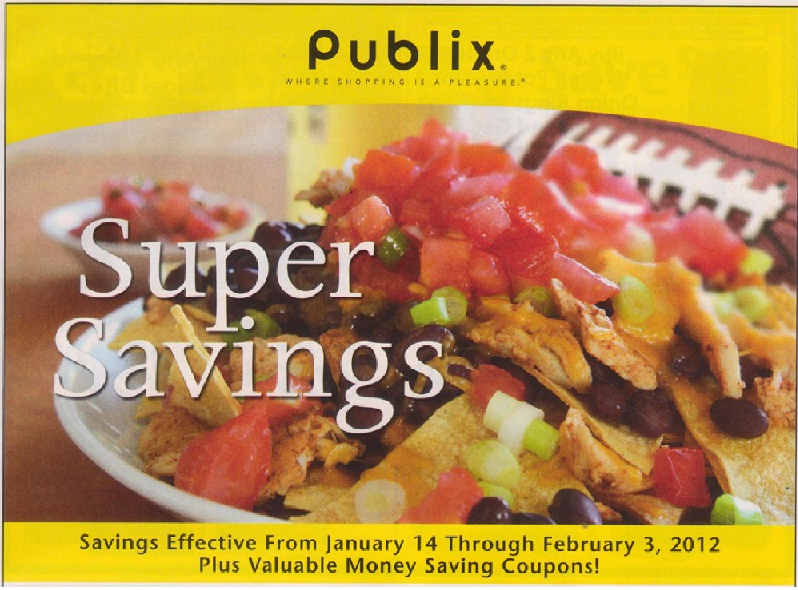 Free Publix tortilla chips 9 oz. WYB any 2 Chi-chi's salsa 16 oz. 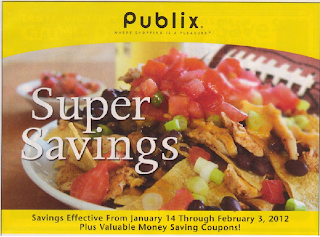 Free Publix saltine crackers 16 oz. WYB any 3 Hormel chili with beans 15 oz. Free Publix instant rice 14 oz. WYB any 2 Hormel chili no beans 15 oz. $2.00 any 2 Snyder's pretzels AND any Coca-cola 20 pk. or 24 pk. 75¢ any Jif peanut butter 17.3 - 80 oz. $2.00 any Totino's pepperoni pizza rolls 90 ct./44.5 oz. $1.00 any Cedarlane prodct 6 - 12 oz. 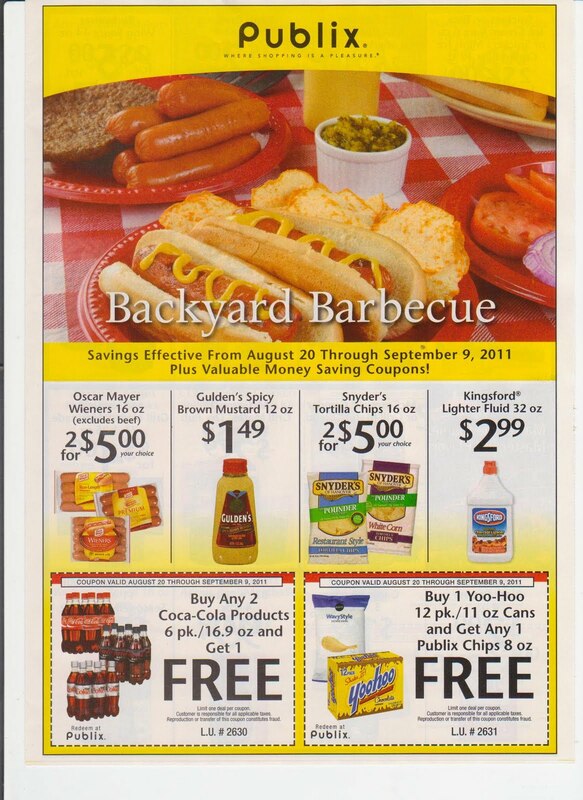 Free Sparkle paper towels pick-a-size giant roll 2 ct. WYB any KC Masterpiece barbeque sauce 18 oz. or KC Masterpiece marinade 16 oz. $5.00 any 2 mix or match: Advil or Advil PM 32 ct. or larger or children's Advil or any Thermacare 2 ct. or 3 ct.
$1.00 any Degree anti-perspirant deodorant 1.7 - 6 oz. $5.00 Allegra 24 hour 45 ct. or Allegra-D 12 hr 30 ct. or Allegra-D 24 hour 15 ct.
$3.00 Zyrtec 25 ct. or larger or Zyrtec-D 24 ct.
$1.50 Tylenol sore throat or Tylenol cold 8 oz. $1.00 Tylenol Precise cream 2.5 oz. or heat patch 3 ct.
$1.00 any Folgers instant coffee 8 - 12 oz. $1.00 any 3 Voskos Greek yogurt 4.6 - 5.3 oz. $2.00 Spice Islands 100% organic spice 0.14 - 1.8 oz. $1.00 any 3 Liberte yogurt 5 - 6 oz. Free Mountain Dew or Pepsi Max 2 L WYB any 2 Cheetos 9 - 9.75 oz. $1.00 any Aquafina 24 pk. Free V8 100% vegetable juice 6 pk./5.5 oz. WYB any 2 V8 100% vegetable juice 64 oz. 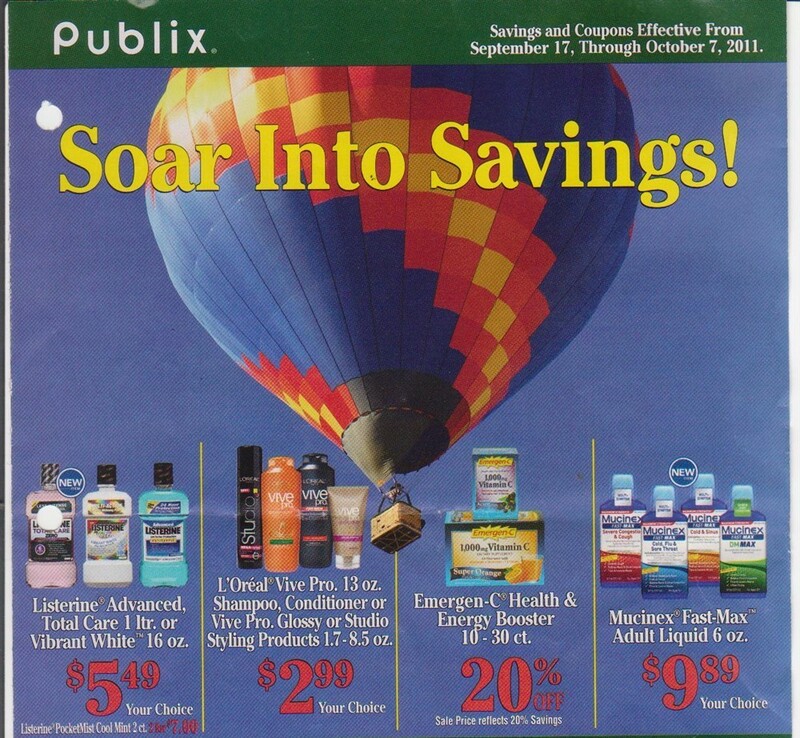 Here's the new Publix Advantage Buy Flyer starting Saturday. If you want to see all the deals, just click the link for slickdeals and look at the ad scans. I'm excited to see the PQ for Voskos yogurt to stack with teh MQ for $1/2 possibly making for free yogurt if they keep the price at $1.00. 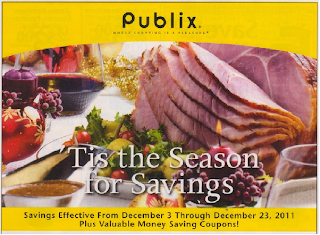 Publix coupons expiring 12/23/2011:$1.0 any Gold Medal flour 4.25 - 5 lb. $3.00 any 2 Sea Fare crab meat 6.5 oz. $1.00 any 2 Voskos Greek yogurt 5.3 oz. or Voskos crunch 4.6 oz. $2.00 any Publix meat or seafood item WYB any Coca-Cola product 20 or 24 pk. $1.00 Gorton's large or value pack grilled frozen entrees 14 - 24.5 oz. $1.00 any Michael Angelo's frozen entree 20 - 32 oz. $1.00 any 2 On Cor frozen entree 27 - 28 oz. 75¢ Glad Press n Seal food wrap 70 or 140 sq. ft.
$2.00 any 1 Lysol No Mess automatic toilet bowl cleaner spring waterfall 2 ct. WYB any Lysol power toilet bowl cleaner 2 pk./24 oz. Free 9 Lives dry cat food 3.15 - 3.5 lb. WYB any Fresh Step cat litter 25 lb. $2.00 any Bengay product 2 - 4 oz. or 3 - 5 ct.
$3.00 Zyrtec 25 - 45 ct. or Zyrtec-D 24 ct.
$2.00 Fiber Choice 90 ct. or Beano 15 - 100 ct.
$1.50 Breathe Right nasal strips any 10 - 30 ct.
$3.00 any 2 mix or match: Aquafresh 5.6 - 6 oz., Sensodyne 4 oz., Poligrip 2.2 - 2.4 oz. 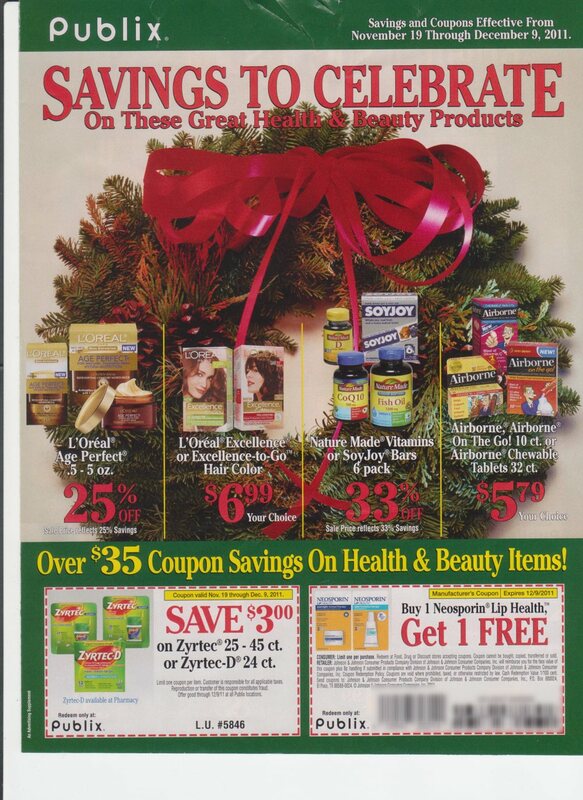 or Polident 78 - 84 ct.
$3.00 any Align poduct 28 ct. or 42 ct.
$2.00 Gold Bond Ultimate lotion any 13 - 14 oz. $8.00 any 2 mix or match: Claritin 30 ct. or larger, Claritin-D 15 ct. or large, or Zegerid OTC 42 ct.
$4.00 Allegra 24 hour 30 - 45 ct. or Allegra-D 12/24 hour 5 - 20 ct.
$?.00 ThermaCare products any 2 - 3 ct.
$6.00 any 2 mix or match: Sundown Naturals, Osteo Bi-Flex, Marvel Heroes gummies, Disney multivitamin 60 ct., Ester-C 60 - 90 ct., or Flex-a-min 80 - 120 ct. 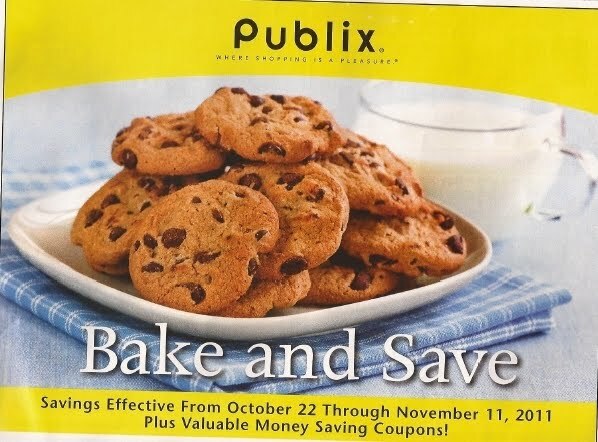 The new Publix YAF "Bake And Save" will be in stores Saturday, Oct 22, and in your Sunday paper too. 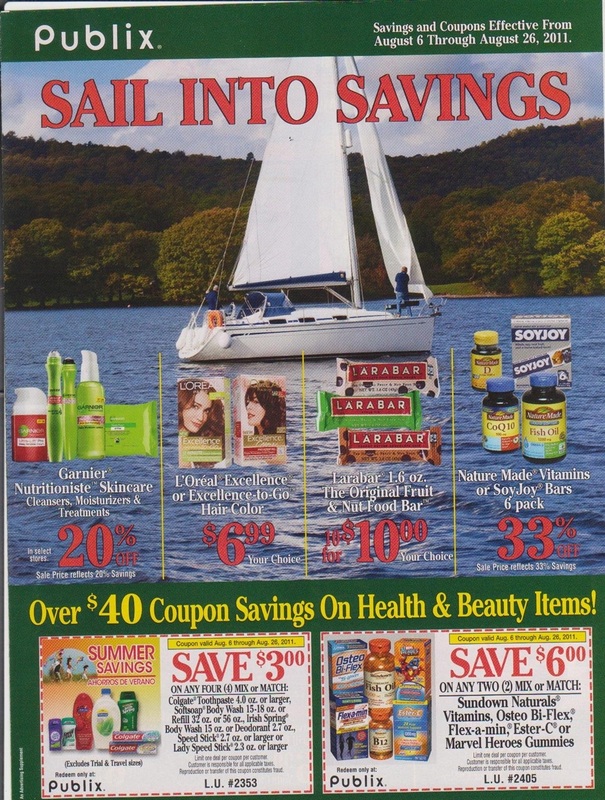 75¢ any Morton natural or iodized sea salt all-purpose 26 oz. $1.00 any 2 Ball Park franks 14 - 16 oz. $1.00 any 2 Hillshire Farm link sausage 14 - 16 oz. $1.00 any 2 Hllshire Farm rope smoked sausage 14 - 16 oz. $1.00 any 2 Eggo products 9.8 - 29.6 oz. $1.00 any Smucker's uncrustables 10 pk./2 oz. $1.00 any 2 On Cor entrees 28 oz. $1.00 any Reese's ice cream cup 6 pk./3.3 oz. $2.00 any Bertolli frozen skillet, bake or meal soup 24 oz. $1.00 any Frusion yogurt smoothie or La Creme yogurt 4 pk./7 oz. $1.50 any 2 Kashi entrees or waffles 9 - 10.1 oz. $2.00 any Jimmy Dean frozen breakfast sandwiches 34 - 36 oz. $1.00 any 2 Morningstar Farms products 5.3 - 14.5 oz. $2.00 WYB any Dunkin' Donuts coffee 11 oz. or larger AND any Pepperidge Farm Milano cookies 5.75 - 7.5 oz. 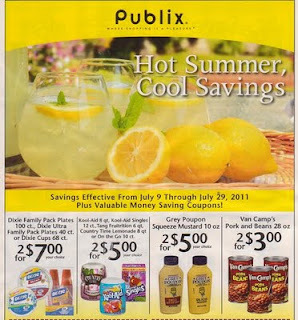 55¢ any Del Monte jar fruit SunFresh or orchard select 19 - 20 oz. 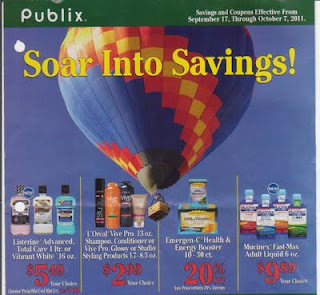 Here's the deals for the upcoming Health And Beauty Green Advantage Buy Flyer for Publix, effective Saturday September 17 thru October 7. $1.00 any Neutrogena facial moisture treatment 0.5 - 4 oz. 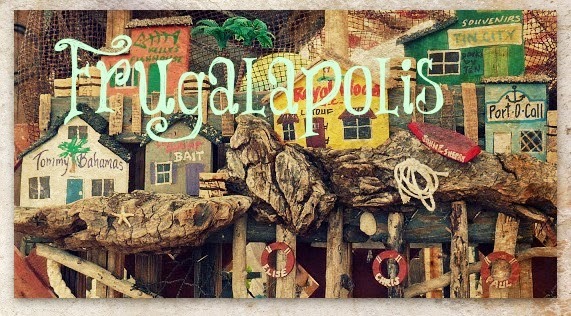 $5.00 Allegra 24 hour 30 - 45 ct. or Allegra-D 12 hour 20 ct.
$1.00 any Hershey's S'mores dessert icing 7 oz. $1.00 any bag, bulk, or sliced apples WYB any Marzetti regular or fat free caramel apple dip 12 - 16.5 oz. 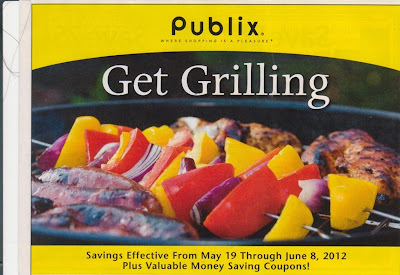 Free Pepsi Max 2 L WYB any 2 Ball Park beef, angus, or deli style franks 8 ct.
Free Publix soda 2 L WYB any 2 Mission tortilla chips 20 oz. $2.00 any Dunkin' Donuts coffee bag 24 oz. $2.00 any Honey Nut Cheerios 21.6 oz., Cinnamon Toast Crunch 21.25 oz., or Lucky Charms 20.5 oz. $2.00 any Nature Valley granola bars value size 14.8 - 17.8 oz. $2.00 any Fiber One cereal 14.25 - 17.25 oz. or Fiber One chewy bars 4.1 - 14.1 oz. $2.00 any Total, Oatmeal Crisp, Wheaties, Basic 4, Raisin Nut Bran or Clusters 12.25 - 18.25 oz. 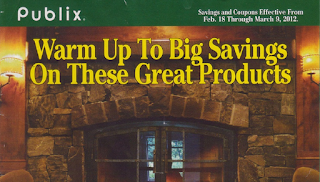 $1.00 any Cascadian Farm cereal 10.3 - 17 oz. or granola bars 6.2 - 7.4 oz. $1.00 any Betty Crocker premium muffin mix 15.3 - 18.25 oz. or pouch cookie mix 17.5 oz. $1.00 any Yoplait light with granola 2 pk./6 oz. $1.00 any 2 Larabar bars 1.6 oz. 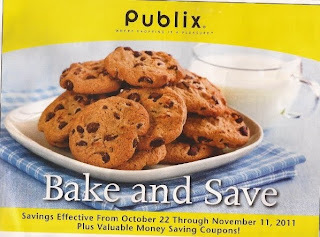 $1.00 any Pillsbury Grands! biscuit sandwiches 7.4 oz. or Egg Scrambles 8 oz. $1.00 any Pillsbury Toaster Strudel pastries or Toaster Scrambles 10 - 11.5 oz. or frozen pancakes 14. - 16.4 oz. Free Texas Pete chipotle hot sauce 6 oz. WYB Texas Pete wing sauce 16.5 - 17.5 oz. $1.00 any Gorton's medium or tenders frozen entrees 10.6 - 11.4 oz. $2.00 any Sun Drop regular or diet 12 pk./12 oz. 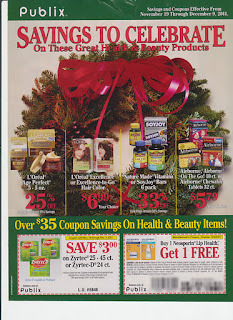 $3.00 any 3 Palmolive 25 oz. or larger, Suavitel 56 oz. or larger or Fabuloso 56 oz. The new YAF looks like it has some great items to stock up one. 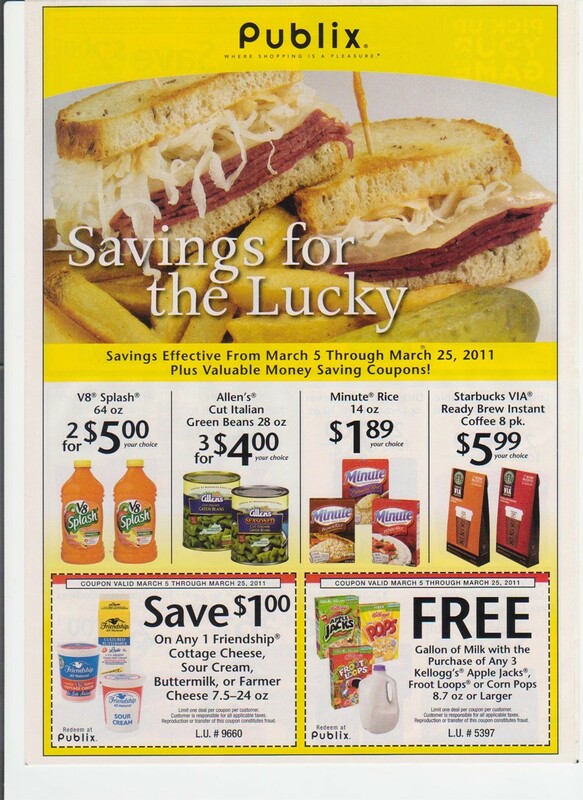 There is a sale on Sargento cheese this week where you can use the PQ. I also noticed in the Google Scans that there are some Purina pet snacks on sale where it would be handy to use the $1/1 Purina PQ. $1.00 any 2 Sargento shredded cheese 5-8 oz. $1.00 any Perdue frozen individually wrapped chicken breasts 32 oz. $2.00 any 2 Smithfield sliced bacon 16 oz. $1.00 any Betty Crocker fruit snacks 4.5-8 oz. $2.00 any Totino's pizza rolls 90 ct./44.5 oz. $1.00 any Sensible Portions pita bites crackers 5 oz. Thanks to Slickdeals.net for the sneak peek. $5.00 any 2 mix or match: Advil or Avdil PM 32 ct. or larger or Children's Advil or Thermacare 2 ct. or 3 ct.
$3.00 Allegra 24 hour 30 - 45 ct. or Allegra-D 12 hour 20 ct.
$3.00 Tylenol Precise 2.5 oz. 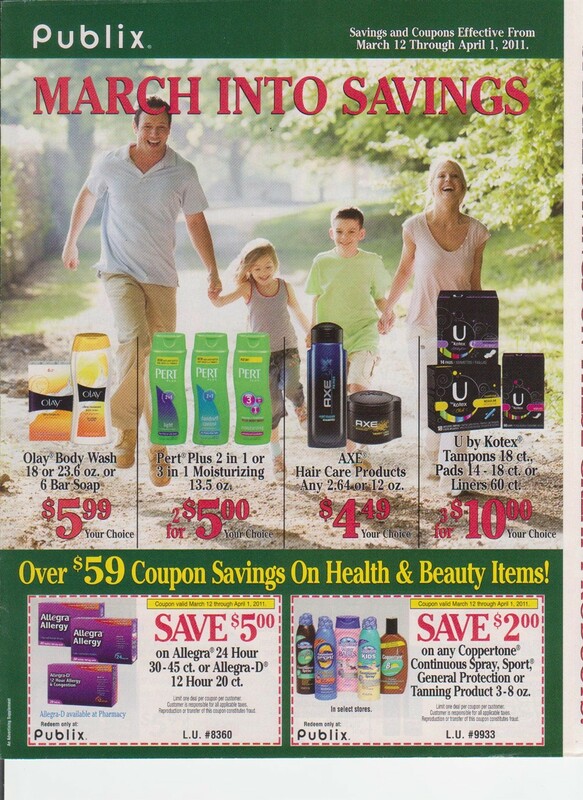 cream or heat patch 3 ct.
$5.00 Zantac 150 mg tablets 65 ct.
$1.50 Caress body wash 18 oz. $16.99 – Schiff Move Free Advanced 80-120 ct or MegaRed Krill Oil 60 ct.
$6.99 – RevitaLens 10 oz, Complete Multi-Purpose Solution 12 oz., or Blink Tears 15 mL. $.79 – VO5 Shampoo or Conditioner 15 oz. $3.99 – Garnier Fructis Anti-Dandruff Shampoo or Conditioner 13 oz. 25% Off – Thicker Fuller Hair, DEP, L.A. Looks, got2b or Zero Frizz Hair Care 4 – 20 oz. 2/$5 – Pert Plus 2 in 1 or 3 in 1 Moisturizing 13.5 oz. $2.39 – Salon Grafix Hair Spray 10 oz. 2/$6 – Speedstick 24/7, Stainguard or Irish Spring Anti-Perspirant Deodorant 2.7-3 oz. $2.79 – Michum Anti-Perspirant Deodorant 2.5 or 3.4 oz. 2/$7 – Sea Breeze Clear Pore or Sensitive Skin Astringent 10 oz. $2.99 – Stridex Pads, 90 ct.
2/$4 – HYDRO Shave Gel 8.4 oz. $1.99 – Carefree Pantiliners 16 ct, 36 – 60 ct.
2/$7 – ACT Rinse 16.9 -18 oz. $5.99 – Clear Eye Redness Drops 1 oz. $4.49 – Efferdent Tablets 78 – 108 ct.
50% Off – No Nonsense Women’s, Men’s or Kid’s Socks, Any, 6 pk. $1.00 Sambazon acai superfood juice 32 oz. or acai blueberry & pomegranate superfood juice blend 32 oz. $3.00 any Nescafe Taster's Choice 7 or 10 oz. Free Scott towels long lasting roll 1 ct. WYB Kingsford MatchLight charcoal 6.7 lb or Mesquite charcoal 6.3 lb. $1.00 any Magnum ice cream bars 3 pk. Free Kashi TLC cracker or TLC cookie item WYB any Kashi cereal 7.5 oz or larger AND any Kashi TLC bars 6.7 oz. 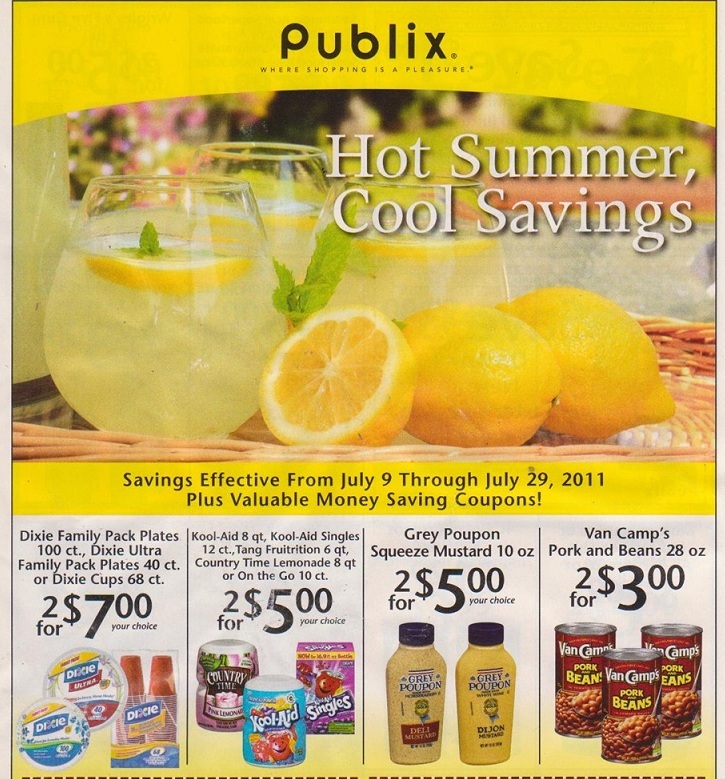 $3.00 Publix half gallon ice cream WYB any 2 IBC 6 pk./12 oz. $1.00 any 2 OnCor frozen entrees 27 - 32 oz. $1.00 any Petey's Bing energy drink 4 pk. $1.00 any Friendship cottage cheese, sour cream, buttermilk, or farmer cheese 7.5 - 24 oz. 55¢ any Fruit2day item 6.75 oz. $1.00 any 2 Birds Eye Steamfresh or regular frozen vegetables 7.5 - 18 oz. $2.00 any P.F. Chang's frozen entree 22 oz. $1.00 any Sheerbliss ice cream pint or 3 pack bars 16 oz. $2.00 any Coppertone Continuous spray, sport, general protection or tanning product 3 - 8 oz. $2.00 Allegra 12 hour 12 ct., children's Allegra 4 oz. or 12 ct., or Allegra-D 12 hour/24 hour 10 ct.
$2.00 Banana Boat tanning oil, protect spray, or sunblock lotion 8 oz. $3.00 Depend for Men or Women 14 - 48 ct., or Poise 30 - 72 ct.
$1.00 any mix or match Pantene or Head & Shoulders hair care products 1.9 - 33.9 oz. $3.00 any Align product 28 ct. or 42 ct.
55¢ any Degree anti-perspirant/deodorant 2.6 - 6 oz. $1.00 any Vaseline lotion 10 - 22.5 oz. 50¢ any Suave hair care product 5 - 22.5 oz. $2.00 Hawaiian Tropic lotions or tanning oils 6 - 8 oz.